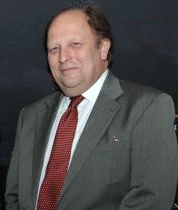 Dr. Michael D. Aeschliman holds B.A., M.A., M.Phil., and Ph.D. degrees from Columbia University. He is Professor Emeritus of Education at Boston University, Professor of Anglophone Culture at the University of Italian Switzerland, and Curriculum Advisor to the TASIS Foundation Board. He also founded and directed for twelve years the Erasmus-Jefferson Summer Institute in Tuscany, in collaboration with the University of Virginia. Associated with TASIS since 1971, he also writes regularly on educational and cultural topics for several American magazines, including National Review (NY), First Things, Modern Age, and The Journal of Education (Boston). He lectures widely in Europe and America and has been a featured guest speaker at venues in Oxford, Cambridge, New York, Boston, Frascati, Italy (European Union), Geneva, Switzerland (faculties of the International School of Geneva), Israel, Washington, DC, Seattle, Washington, and Fort Worth, Texas. His new edition of Charles Dickens's A Tale of Two Cities was recently published in paperback by Ignatius Press.